I've come across friends, loved ones, relations and colleagues who query their birth or the circumstances behind it. I kept pondering why so many things ought to happen the way it did. Until it dawn on me that everyone came as it pleased God. The Bible also gives a clear view of it all. 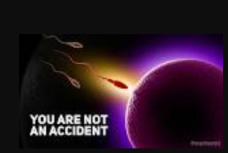 No one is an accident, your birth wasn't a mistake. Your parents may not have planned you but God eventually did. Long before your parents conceived you, you've already been conceived in the mind of God. So it is no chance or luck or fate that you're in this planet. God planned every detail of your body, color of hair, skin eye and even chose your race. Your natural skills and the uniqueness of your personality were all determined by Him. You know me inside and out, you know every bone in my body, you know exactly how I was made, bit by bit, how I was sculpted from nothing into something. Where you'd be born and live were planned by God for His purpose, including your nationality were no accident. No detail about you was left by chance. From one man He made every nation,... and He determined where they should live. One most amazing thing is that God decided how you'd be born. Regardless of the circumstances behind your birth or who your parents are on earth, it was God's plan in creating you. Whether your parents are good, bad or indifferent, it never mattered to God. What mattered to God was that, the two individual (your parents) possess the right genetic make up (DNA) to customize YOU He had in mind. We may have illegitimate parents, but there are no illegitimate children. Nothing was ever done accidentally by God. Our parents may not have planned us, but we weren't unplanned by God. 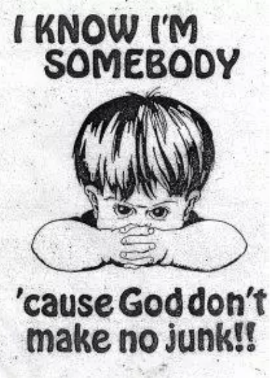 If there's no God we all would be accidents. As the world may have it, NO ONE came into this world by ACCIDENT. Hello @tpot, thank you for sharing this creative work! We just stopped by to say that you've been upvoted by the @creativecrypto magazine. The Creative Crypto is all about art on the blockchain and learning from creatives like you. Looking forward to crossing paths again soon. Steem on!